Growing up in a small Tennessee town, Bill Dance never dreamed that small world would shape the man he is today. Valuable lessons learned while spending time on the water and in the woods with his granddaddy and his dad shaped the core beliefs he still holds true to this day. 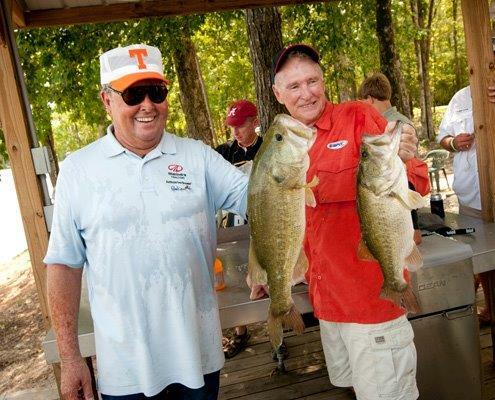 In recognition of his conservation efforts and continuous efforts to better the traditional outdoor sports, Bill Dance is serving as the honorary chair of National Hunting and Fishing Day, set for Sept. 28. Congress established National Hunting and Fishing Day to recognize hunters and anglers for their leadership in fish and wildlife conservation. Since launching in 1971, the day has been formally proclaimed by every U.S. President and countless governors and mayors. Dance joins an elite fraternity of country stars, professional athletes, entertainers and outdoor personalities that have helped build National Hunting and Fishing Day, including Hank Williams Jr., Travis Tritt, Jeff Foxworthy, Tony Stewart and Boone Pickens. Dance understands the necessity to conserve and restore habitat throughout the nation. He learned early on while fishing with his granddaddy in rural middle Tennessee that conservation is a way of life that everyone should embrace. Dance vividly recalls he and his granddaddy on the banks of the river catching shell crackers as big as a saucer. Once his granddaddy had enough for a mess, the two would leave the rest for seed. Dance didn’t understand at the moment, but later in life it all made perfect sense. Growing up with his granddaddy’s fishing tutelage and his dad’s firearms expertise, Dance grew his love and passion for the outdoor sports. However, his first love is fishing. The first artificial lure Dance ever bought was in Lynchburg, Tennessee and was a black Jitter Bug. He took the 75-cent Jitter Bug with braided line and monofilament leader and walked out on a point while his granddaddy bottom fished for red ear. When Dance got down there he looked off to his right and noticed two small bass swimming along. He made a pretty accurate cast, missing his mark by twenty feet, which was accurate for the now fishing show host. Those two fish stopped swimming then raced to the bait once he started working the lure. All those memories led Dance to where he is today, and every memory he had led to one simple fact – conservation for outdoorsmen continues to grow. Through many conservation efforts habitats are being restored, and the main contributors are hunters and fishermen. Hunters and fishermen fund nearly 75 percent of the annual income for all 50 state conservation agencies. Through license fees and excise taxes on arms and gear, sportsmen contribute $200 million per year for wildlife conservation. Bill Dance is easily one of the outdoors’ most recognizable figures. He can be seen on countless TV shows and is everywhere we look when walking through the aisles of the local fishing shop. Today, Dance enjoys the little things like watching his grandchildren catch their first fish or teaching youngsters throughout the country the value of spending time outdoors. Wonders of Wildlife, in Springfield, Mo., is the official home of National Hunting and Fishing Day. The museum coordinates public education and awareness campaigns to promote traditional outdoor sports. The museum is scheduled to re-open its doors in the coming year.